Mindfulness: a mental state achieved by focusing one's awareness on the present moment, while calmly acknowledging and accepting one's feelings, thoughts, and body sensations, used as a therapeutic technique*. Mindfulness is extremely contemporary at the moment, and appropriately so; with increasingly hectic and busy lifestyles it's important that we take some time to focus inwardly and find a space and time to be calm and peaceful. Clinical studies show that mindfulness can help reduce anxiety, exhaustion and insomnia and can enhance the body's natural healing rhythms. 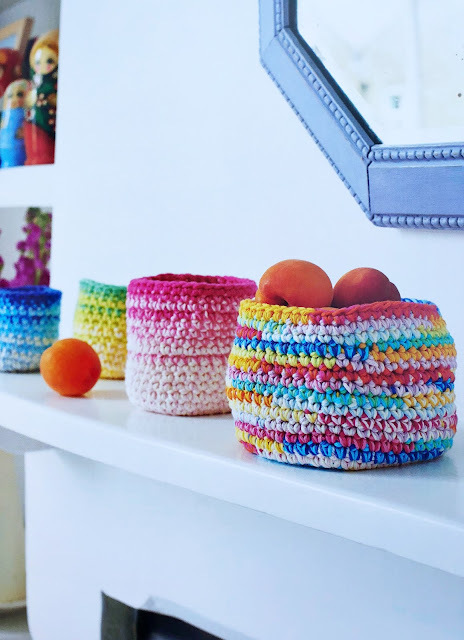 It's no secret that crafts like knitting and crochet also have similar effects and can even slow the onset of dementia. So what better way to improve our physical and mental health than by combing the two? 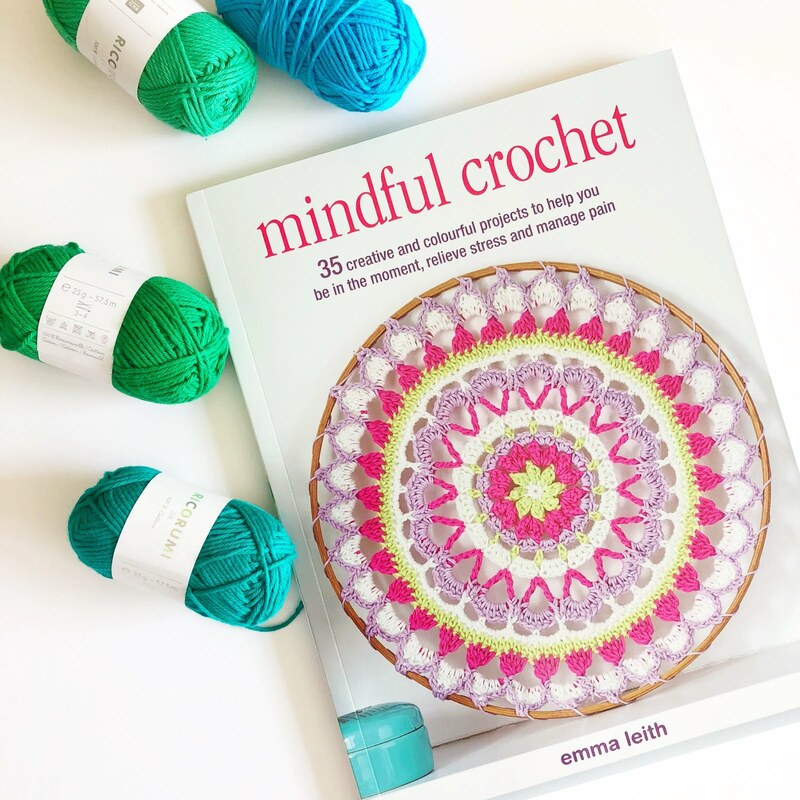 I couldn't agree more with Emma's thinking - I find crochet extremely relaxing (except when trying to wrestle with a particularly difficult pattern, or yarn that just won't do what I ask) and it's my favourite way to wind down after a long day. 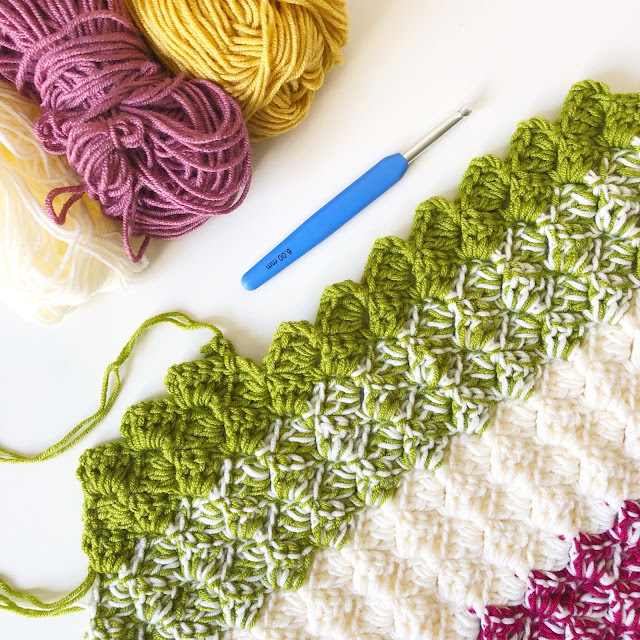 Emma's book is split into four sections: Colour Therapy, Touch and Texture, Mindful Meditation and Caring and Sharing and has 35 beautiful projects with everything from small motifs and quick makes to larger ones which will take a little longer to complete. 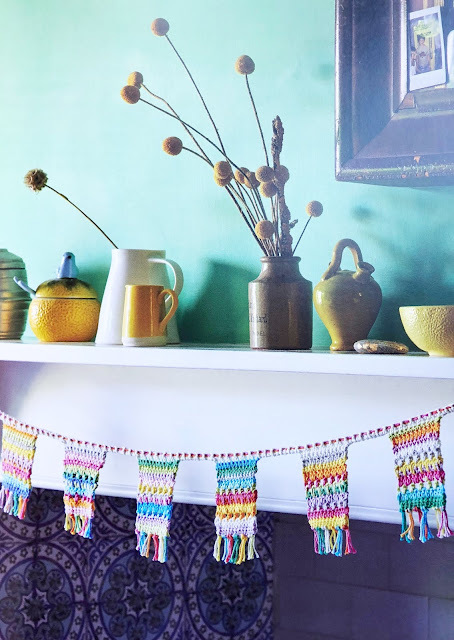 There are projects for the home, including bunting and flags, a table runner, a cushion and even a chandelier; and accessories – bag and purse, a desk tidy, shawls and scarves. Each project has a star rating which denotes the skill level required and the instructions are written in UK terms with clear descriptions of how to make the stitches in each round or row and detailed explanations of how to make up and finish each piece. 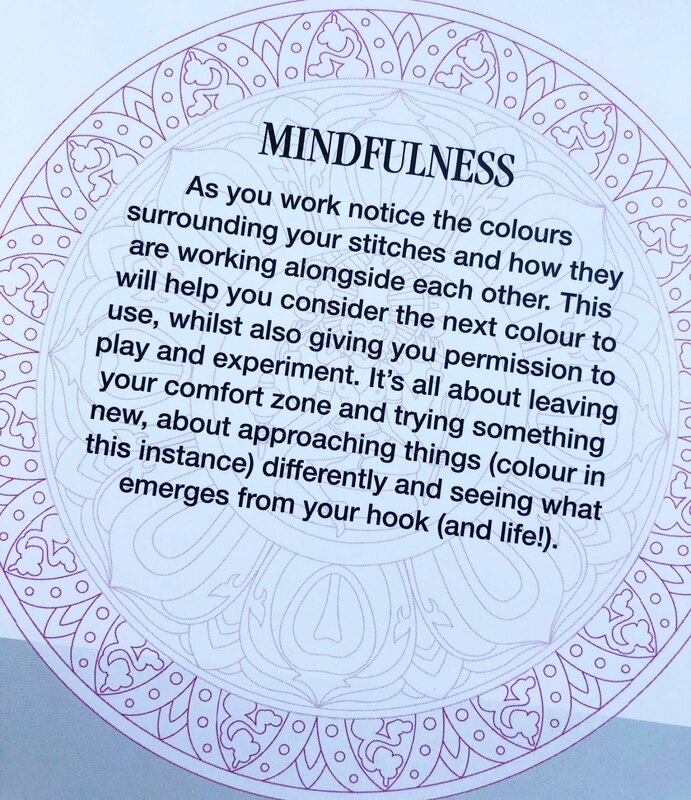 Dotted throughout the book are mindfulness reminders – helpful little tips and hints to put you on the right path as you work through the projects. 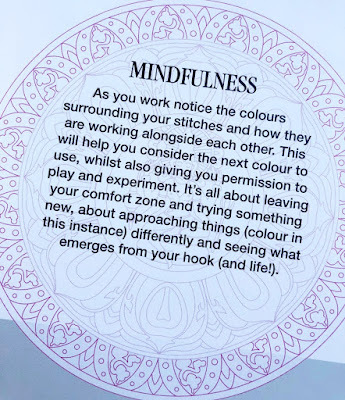 These include practicing breathing techniques, helping you to focus on achievement and fulfilment and enjoying the rhythm of the stitches. 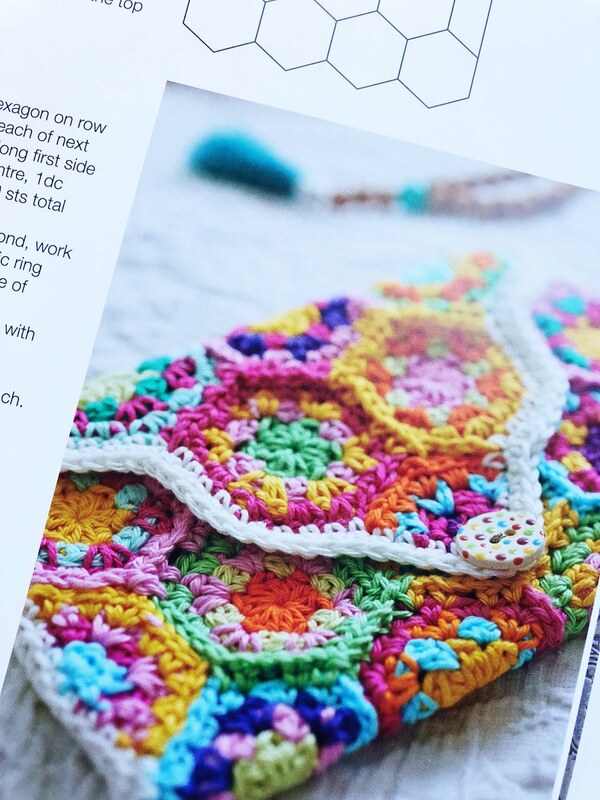 One thing that strikes me as I flick through the book is the wonderful range of colours popping out from every page – every project is photographed beautifully and looks very inviting. 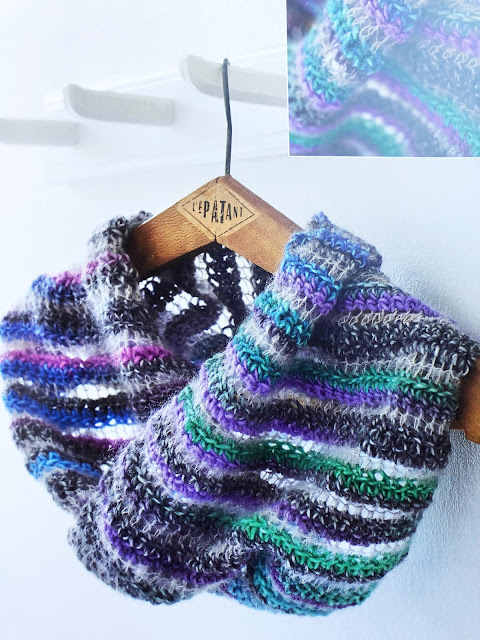 The yarn choices throughout range from cottons and acrylics to sock yarn and mohair. 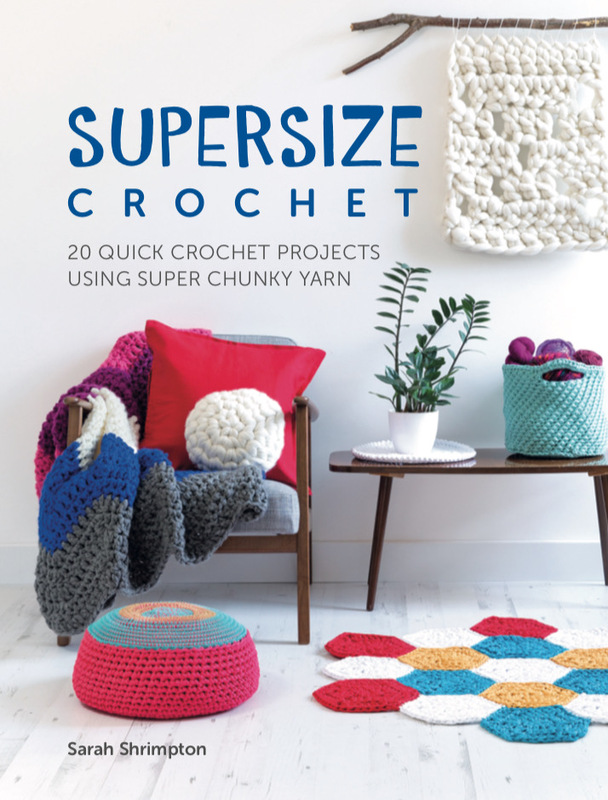 What I particularly like is that you could happily use whatever yarn you please, busting your stash or substituting for your favourite brands. 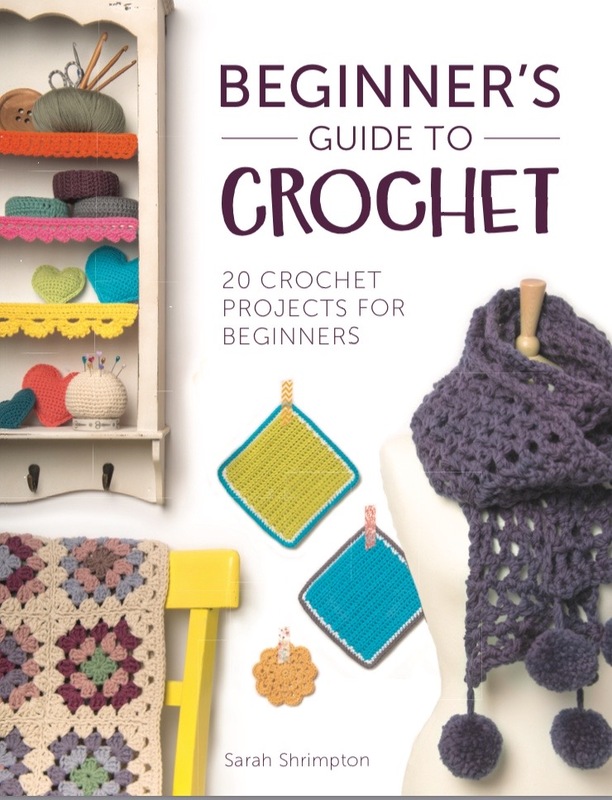 I'm thrilled to be able to give away a copy of Emma's lovely book to one lucky blog reader. All you have to do is enter below. The giveaway will end on the 2nd April 2019 and the winner will be notified by email. Entries welcome worldwide. I was given a copy of the book in exchange for a review. All thoughts and opinions are my own. Whether or not you celebrate Valentine's Day, there's something infinitely enduring about a heart. So when my insta pal sweet_sharna announced she was running her #leavealittleheart campaign again this year, I decided I wanted in. 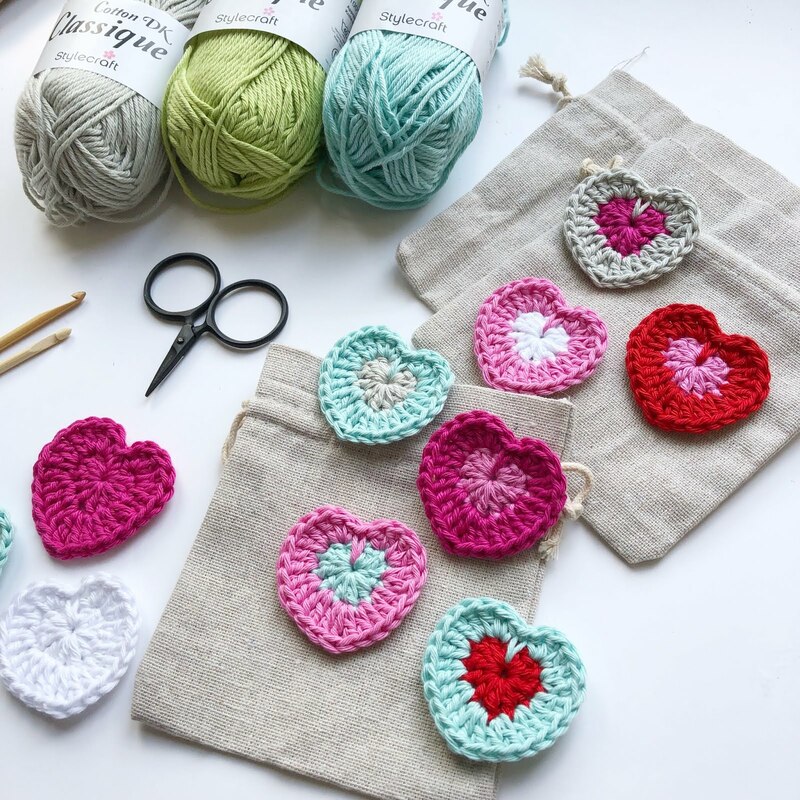 The premise is simple: make a little heart (knit, crochet, sew, origami etc.) and leave it for someone to find on February 14th. You could tie it to a park bench or hang it on a branch - the only advice I would give as a responsible yarn-bomber is that you don't want to be accused of littering, so why not attach a 'please take me' note your heart, so there's no confusion. 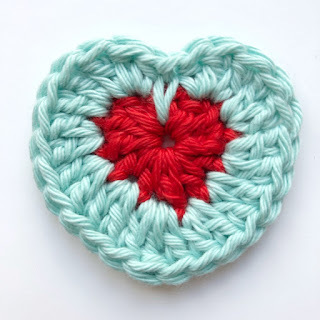 There's a story behind my heart pattern, too - or rather the yarn I used. 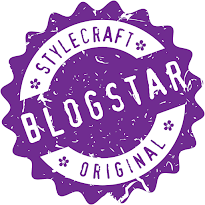 You see, being one of the Stylecraft Blogstars, I've tried most of their yarns, except the Classique Cotton DK. 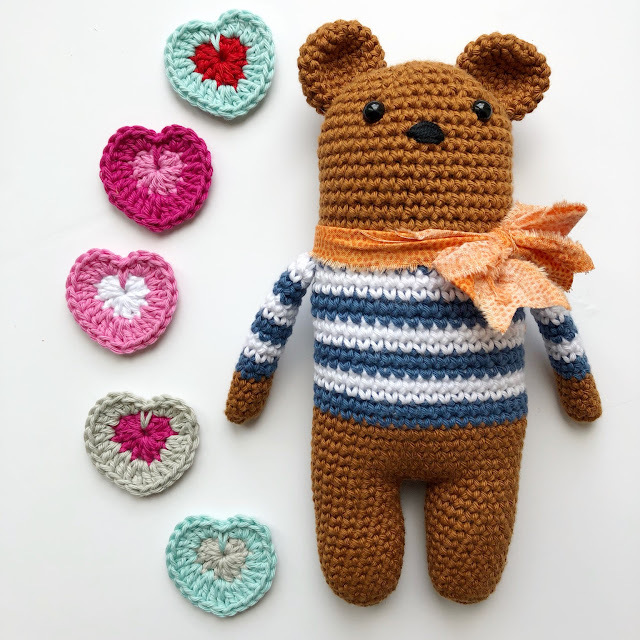 It was when I travelled to Breidagen (the Dutch knitting festival) with the Stylecraft Team that I took part in Emma Varnham's workshop to make Billy Bear using, you've guessed it, Classique DK. Well it quite literally blew me away! Now, I use a lot and I mean A LOT of cotton yarns in my design work - it's particularly brilliant for toys and motifs and has such a lovely finish, but it does have the tendency to be a bit splitty. 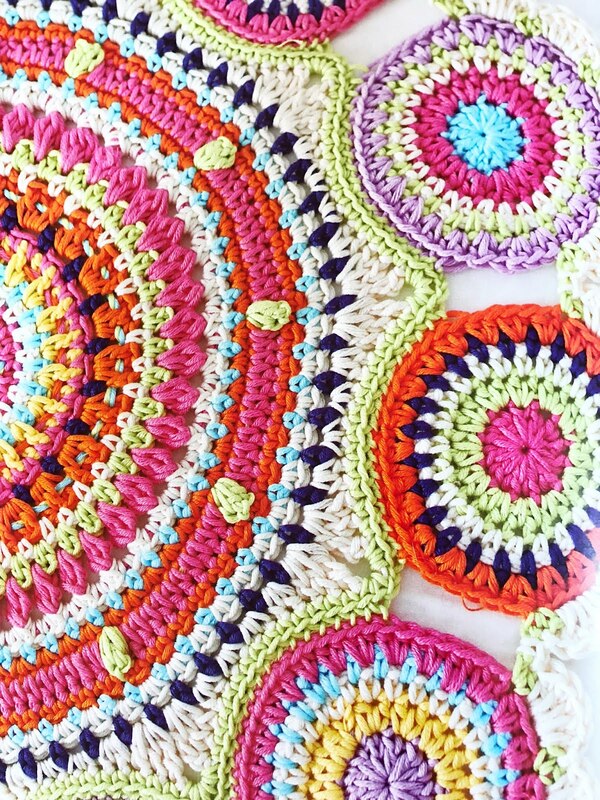 But not this stuff - it's got just enough of a twist to keep the yarn from coming apart as you crochet with it, which is a revelation!! This means speedier work for me as I don't have to keep faffing around with my stitches. 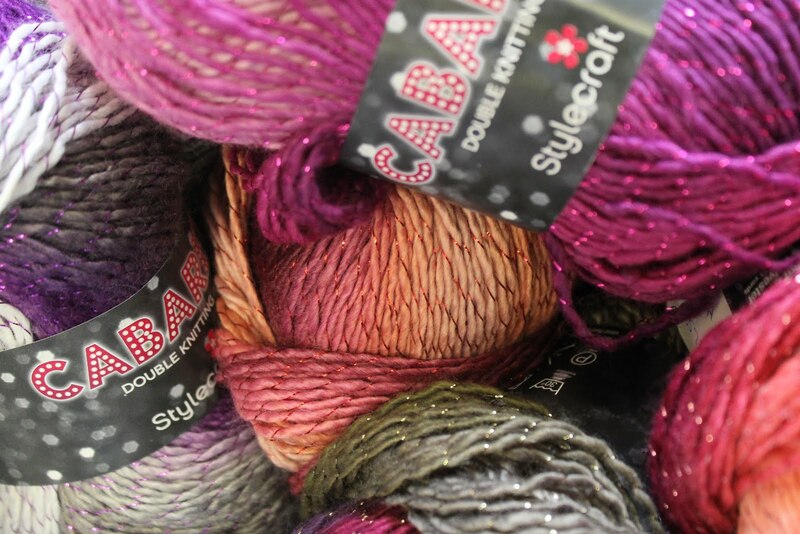 And being Stylecraft, it's affordable, good quality and in a great range of colours. And as it's my new favourite, I'm using it for everything at the moment. Now, there are approximately eleventy-billion free heart patterns out there, so here's another to add to them. You could leave yours for someone to find, or make a garland, or use as an appliqué. 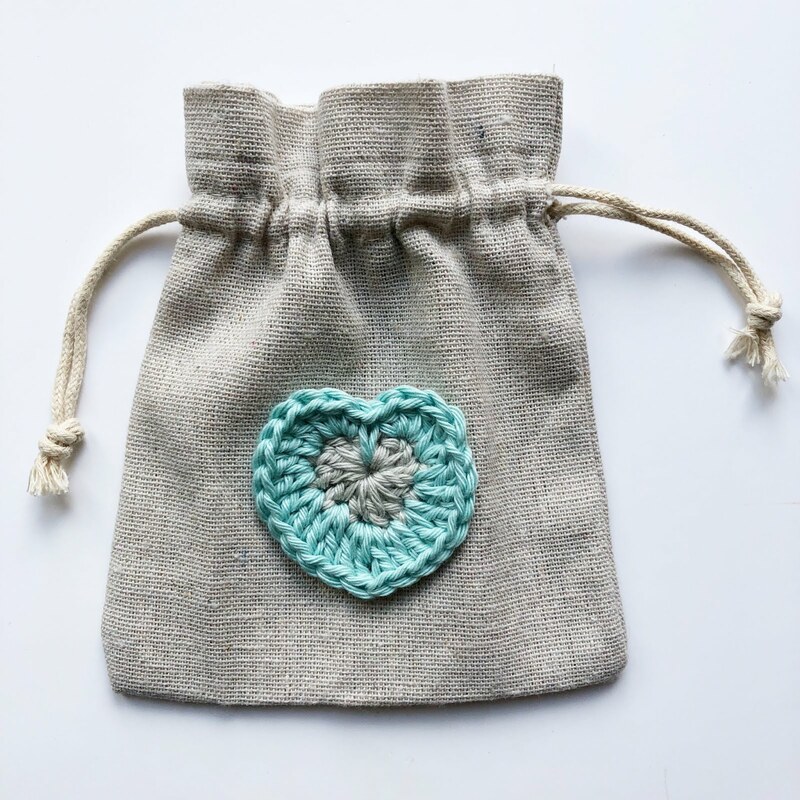 I've bought some little linen bags which I might add mine too - they'd make the perfect gift. 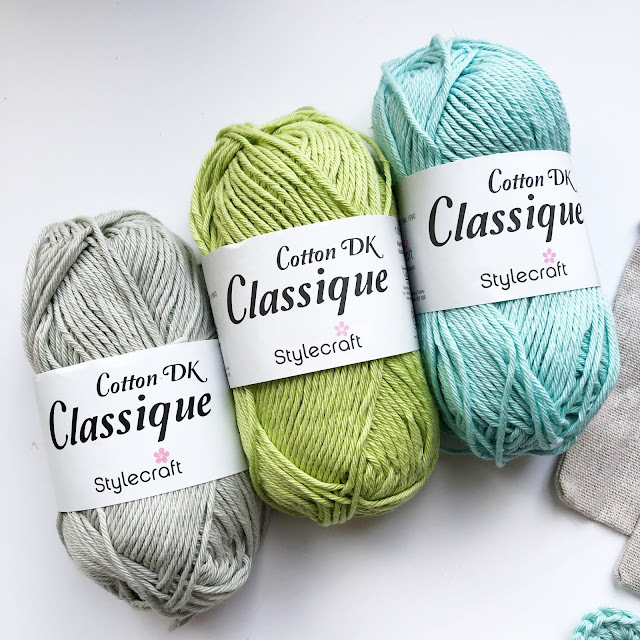 Obviously, I've used Stylecraft Classique Cotton DK ('cos I'm obsessed), but you could use whatever you fancy. 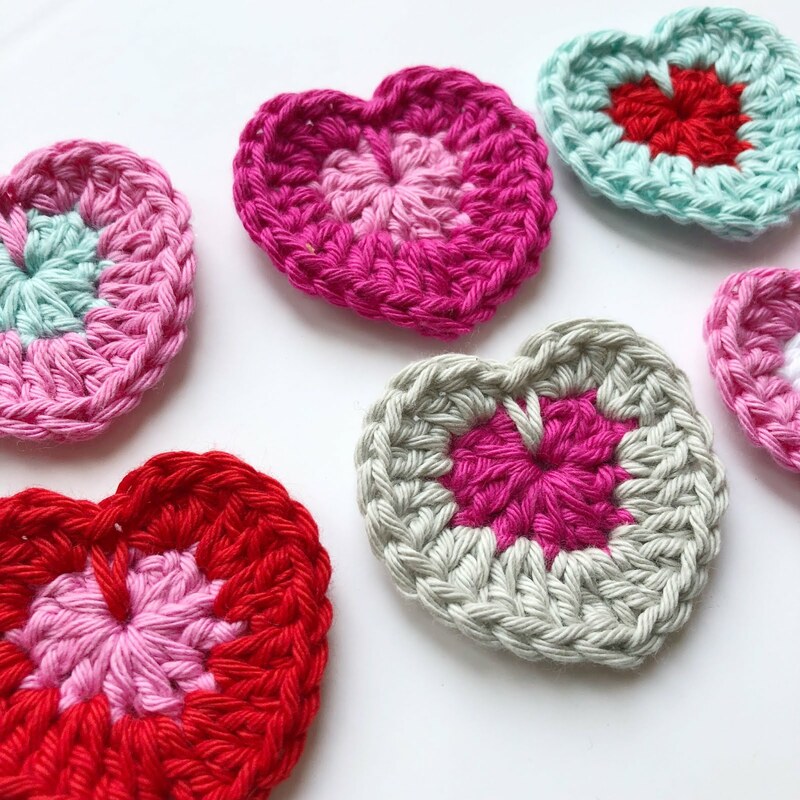 Enjoy making your little hearts and have fun spreading the love. Feel free to make and sell finished items made from my patterns. I just kindly ask that you credit me as the designer and that you link back here, or to my Etsy shop if selling online. Sarah Shrimpton of Annaboo's House. Picture Window theme. Theme images by merrymoonmary. Powered by Blogger.